This escorted luxury group tour combines comfortable coach travel with four unforgettable rail journeys including the TranzAlpine and Taieri Gorge as well as five scenic cruises. Starting in Auckland discover classic highlights across both islands with a host of attractions included. Enjoy the best of New Zealand at a relaxed pace. Combine rail, coach and a variety of stunning scenic cruises on a holiday that will appeal to rail enthusiasts and their travelling companions. Today enjoy an Auckland city sights tour before travelling to the Parry Kauri Park to see a magnificent example of a Kauri Tree. Continue through Whangarei to the Bay of Islands. This afternoon enjoy a guided tour of the Waitangi Treaty Grounds, the location of the signing of the treaty between the Maori tribes and the British. This morning travel aboard a luxury catamaran to Cape Brett and the famous Hole in the Rock. Keep an eye out for bottlenose and common dolphins before returning to Paihia. Continue south via Whangarei and the Parry Kauri Museum to Auckland's north shore, where you will see stunning views of Rangitoto Island, Auckland Harbour and the Hauraki Gulf. This morning enjoy a city sights tour of Auckland before travelling to Glenbrook Vintage Railway for a nostalgic 15 km trip on a beautifully restored vintage steam train. Visit the restoration workshop and on return to Glenbrook Station, morning tea will be served. Continue on to Rotorua and visit Paradise Valley Springs, a superb wildlife park where you can hand feed rainbow trout. Begin with a Gondola ride to the Stratosfare Restaurant where a buffet breakfast and spectacular views are on offer. There is also time for a luge ride! Travel to the Agrodome where you see a shearing display and sheep dog trial. Enjoy some free time this afternoon before travelling out to see the boiling mud pools and awesome geysers that Rotorua is famous for. This evening experience an entertaining Maori Hangi and Concert. Travel along the Thermal Explorer Highway to spectacular Huka Falls then continue to Lake Taupo for some free time to enjoy this scenic lakeside town. In the afternoon travel via Tongariro National Park and the snow-capped peaks of Mt Ruapehu and Mt Tongariro. Continue south along the Kapiti Coast to Wellington. Departures from Sep 2019 include admission to the Wellington Tram Museum. A highlight this morning will be time to explore Te Papa, New Zealand’s fabulous National Museum, and the exhibits that embrace both Maori and European views. Reboard your coach for an extensive city tour. Enjoy some leisure time this afternoon. This evening is also free to dine out at one of the many fine local restaurants. This morning board the Interislander Ferry, cross the Cook Strait and enjoy the magnificent views as you travel through the Marlborough Sounds to Picton. Enjoy lunch in Picton (own expense) before boarding the Coastal Pacific train and journeying via Kaikoura to Christchuch. This morning you will visit the International Antarctic Centre in Christchurch. This afternoon enjoy a city sightseeing tour or make use of your included tram pass. 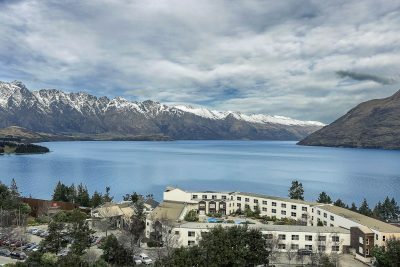 See the snow capped peaks of the Southern Alps as you travel south via the Haast Pass, an area of stunning beauty before arriving into picturesque Queenstown, a year round resort situated on the shores of magical Lake Wakatipu. This evening is free and you may choose to dine at one of the many fine restaurants. Today is a free day for you to explore Queenstown. Your Tour Guide and Coach Captain are available to assist with the many options available. This evening board the vintage steamship TSS Earnslaw and cruise across Lake Wakatipu to Walter Peak Station. Sit back and relax, as you are treated to a gourmet barbeque dinner prepared at the Colonel’s Homestead. After dinner enjoy a short farm tour then reboard the TSS Earnslaw for a sing along by the piano on your return cruise. This morning travel to Arrowtown, an old gold mining village where you visit the Lakes District Museum. Continue via Te Anau to Milford Sound and board the Milford Mariner for your amazing overnight cruise. There is plenty of time to view the fiord's spectacular waterfalls, rainforest, mountains and wildlife - you are bound to encounter seals and if you are lucky perhaps dolphins and penguins. As evening falls enjoy a delicious carvery buffet freshly prepared by the on-board chef. Start the day with a hearty breakfast before heading back out to the Tasman Sea (weather permitting) to explore more of this stunning fiord. Return to the wharf to meet your coach and enjoy the scenic drive to Te Anau. Today travel to Pukerangi with a lunch stop en route. Board the Taieri Gorge train for a scenic rail journey to Dunedin. Time to say goodbye today. You will be transferred to the airport for your flight home after a memorable New Zealand holiday. This 148-room hotel has all the benefits of sitting near a big city while offering the serenity of rural accommodation. 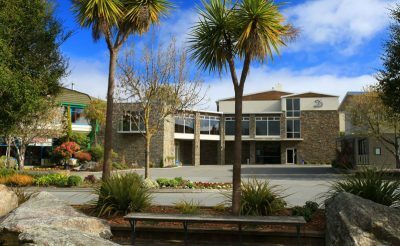 A 180-room hotel offering an extensive range of amenities in the majestic Fiordland, this is a marvellous base to use while exploring this well-known natural wonder. This great value escorted tour hits the spot showcasing the best of both islands.